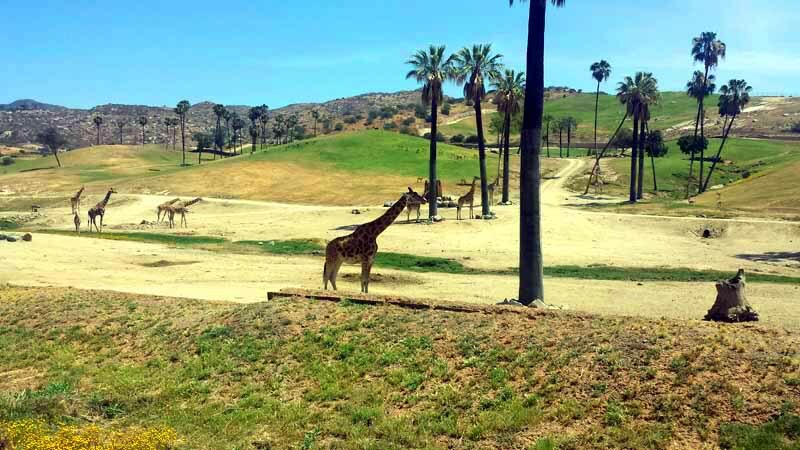 When in San Diego a lot of people visit the world-renowned San Diego Zoo, which sits right in the heart of the city. 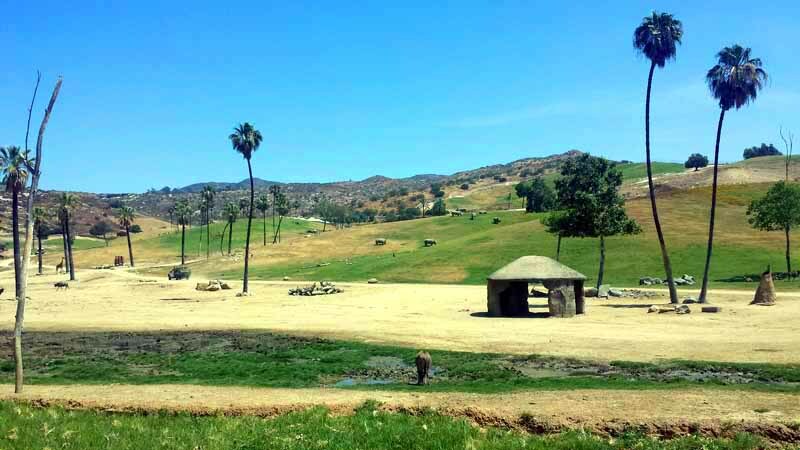 While in town you should head thirty-five miles northeast and take in their other gem, the San Diego Zoo Safari Park. 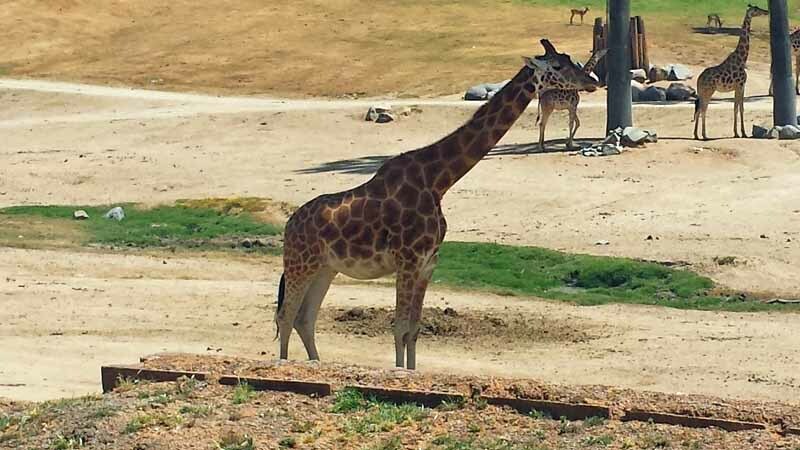 While the main zoo has more animals, it’s limited in terms of space. 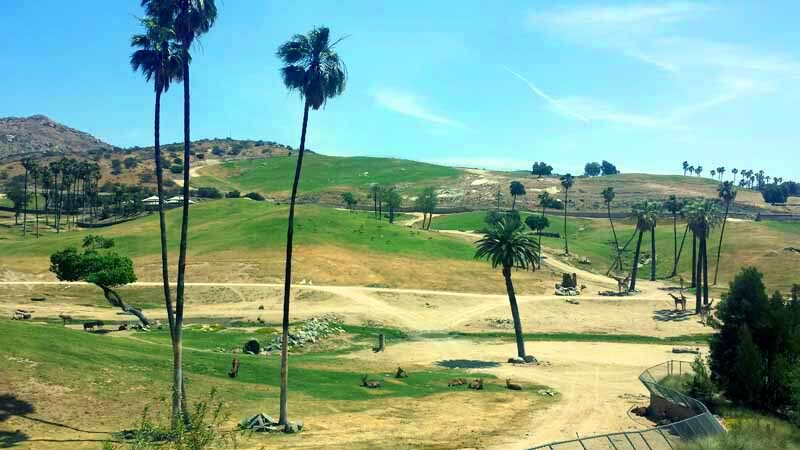 That is certainly not the case at this expansive park just outside Escondido, California. 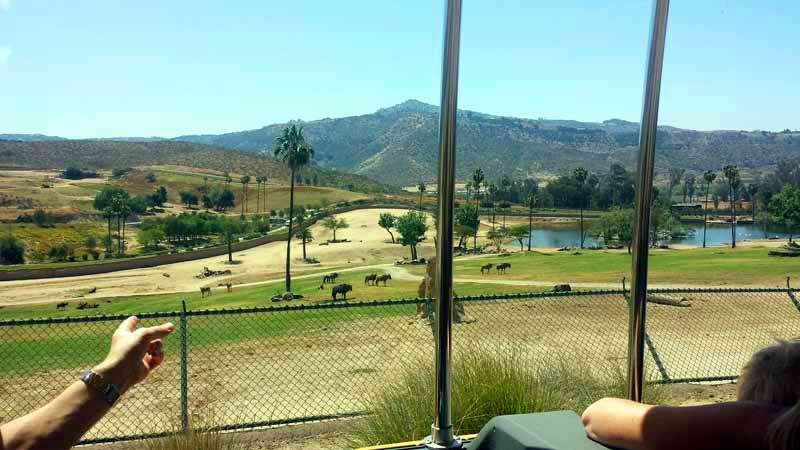 The animals here roam outdoors within expansive enclosures and the parks 1,800 acres. 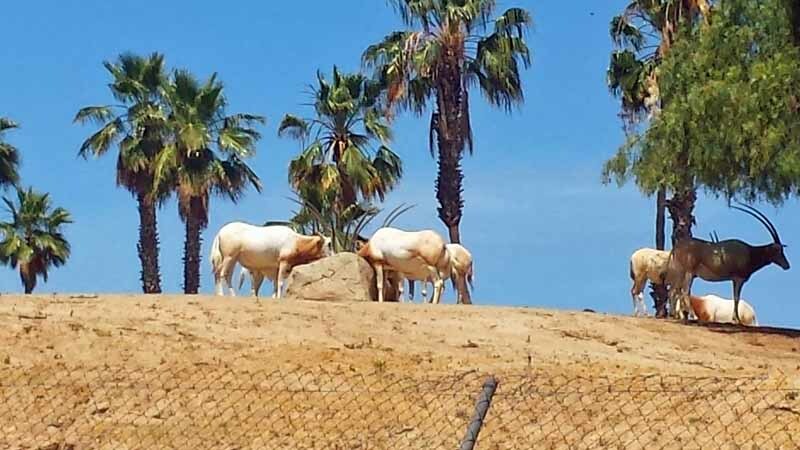 They want the animals to experience a setting that resembles their natural habitat. 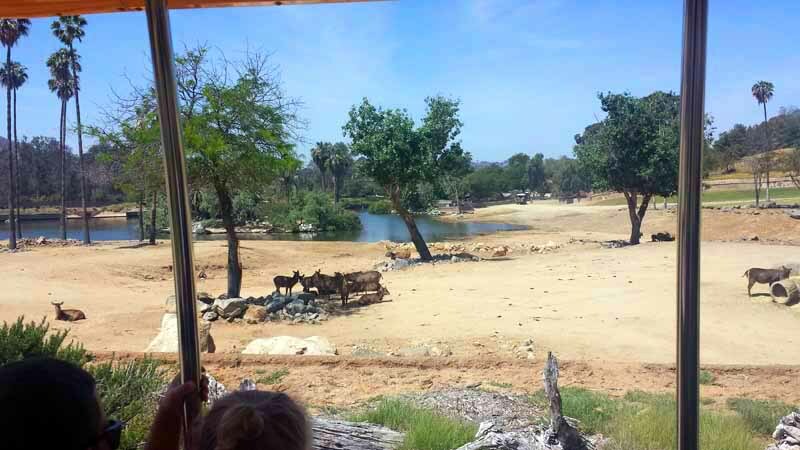 You can enjoy this up close on the Africa Tram. 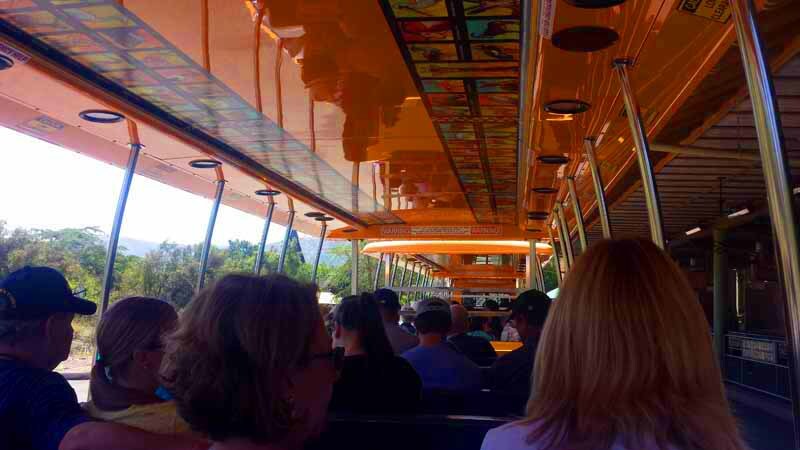 We went on the 40-plus minute tour with many others siting in a colorful train car. 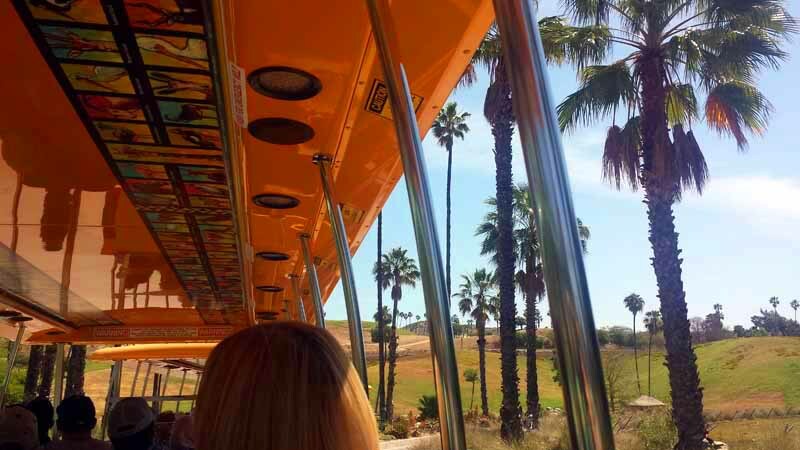 The tour guide explained to everyone what we were seeing all along the way. 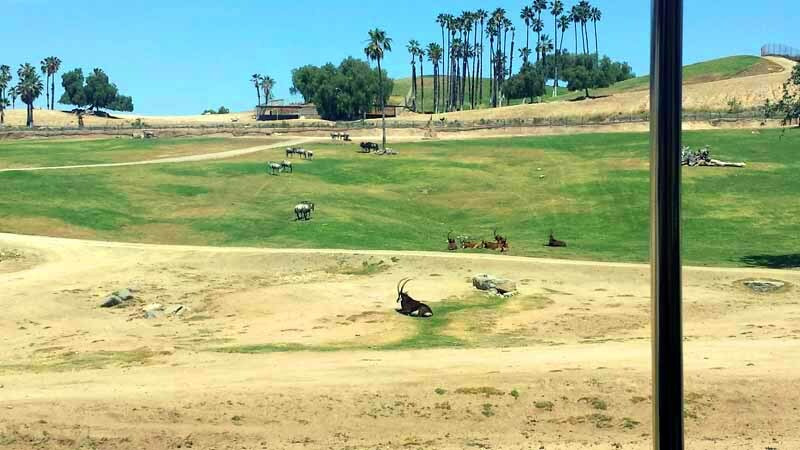 We saw some of the three-thousand animals and three-hundred species that the San Diego Safari Park has to offer including giraffes, antelopes, buffalo, zebra, birds and rhinos. 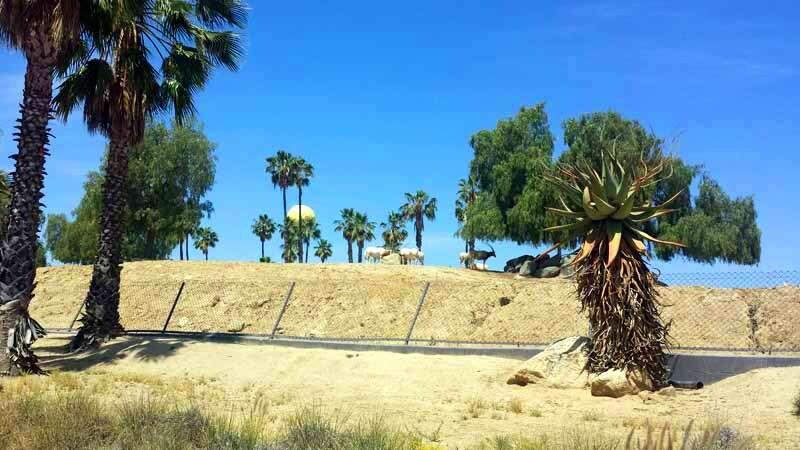 With the open dry land, greenery, mountains and desert off in the distance it kinda felt we were out in the wild. 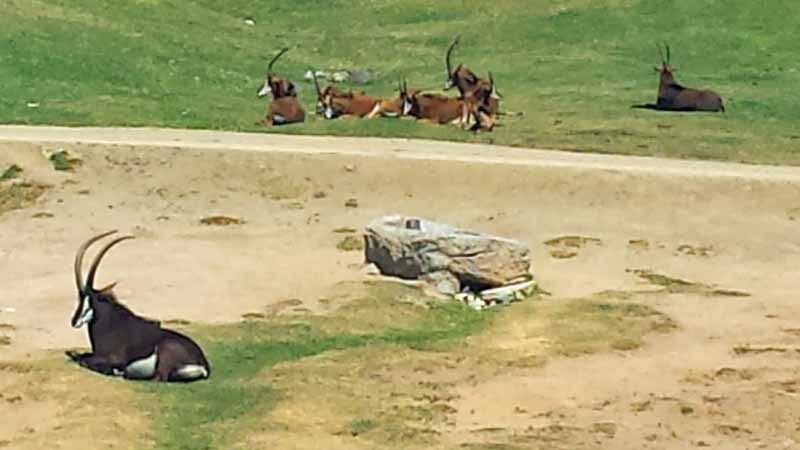 Below are some of the pictures I took during this safari tour experience. 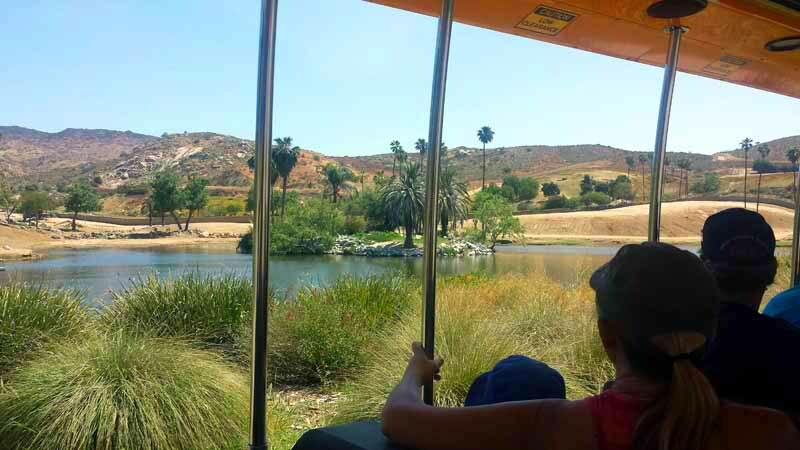 Tours start at 10 a.m. running until 45 minutes before the park closes. 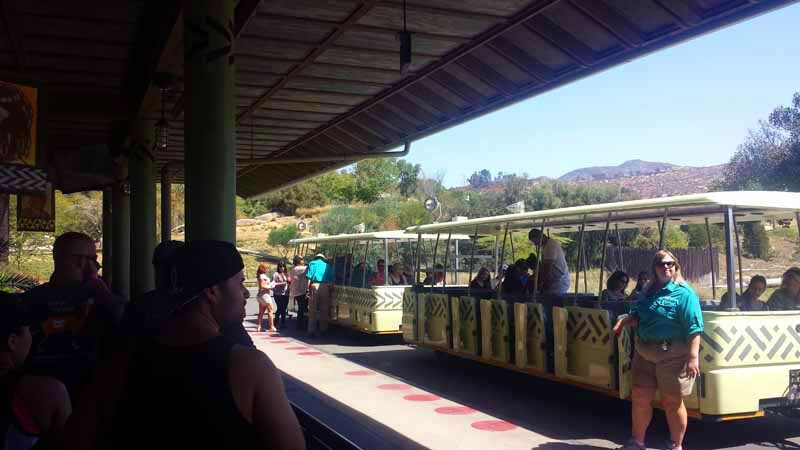 We took one of the first tours out because the lines and wait will build fast leading into lunchtime. 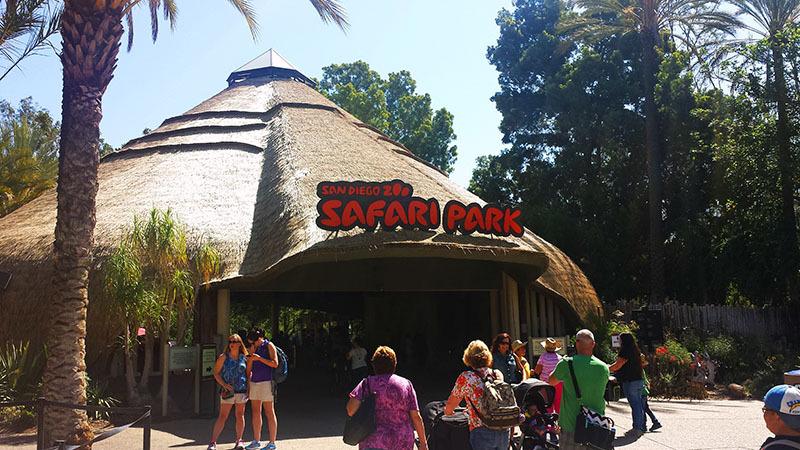 You can purchase tickets at the tram entrance gate, but we got the 1-Day passes online to the Safari Park which includes the African Tram tour. 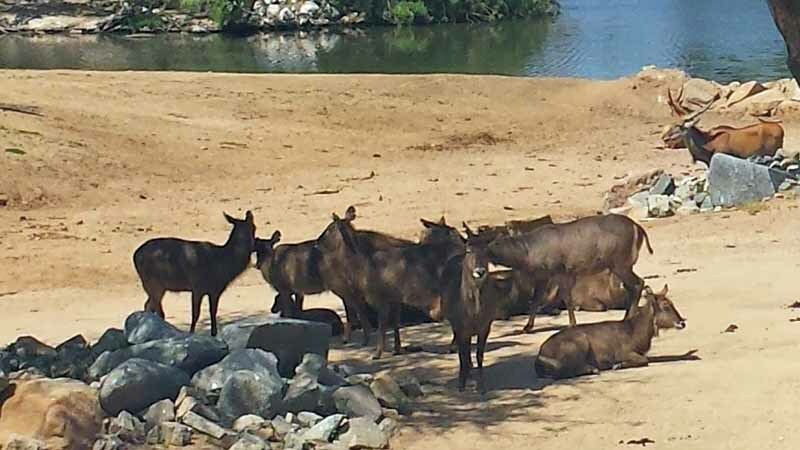 Bring plenty of fluids, especially in the summer. 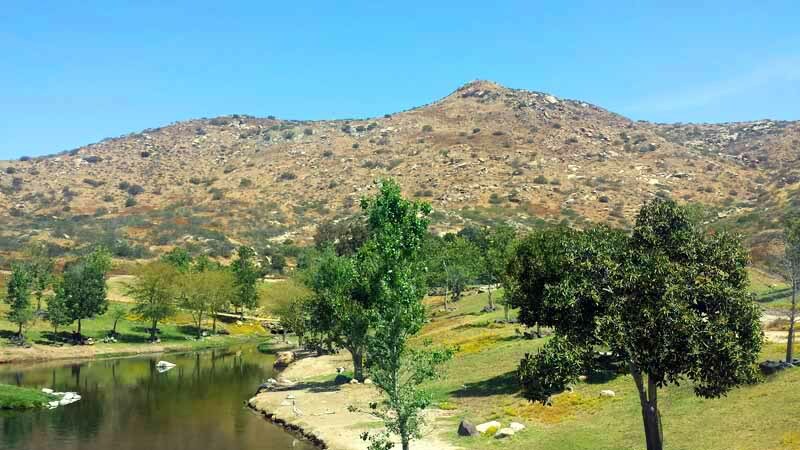 The park sits inland in the San Pasqual Valley, which has a desert like climate. Have your cameras ready of course! 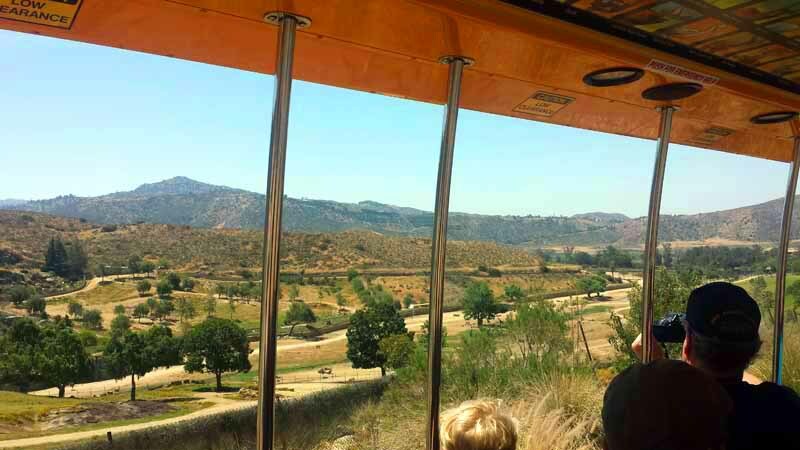 The train will stop at various points for picture-taking opportunities. 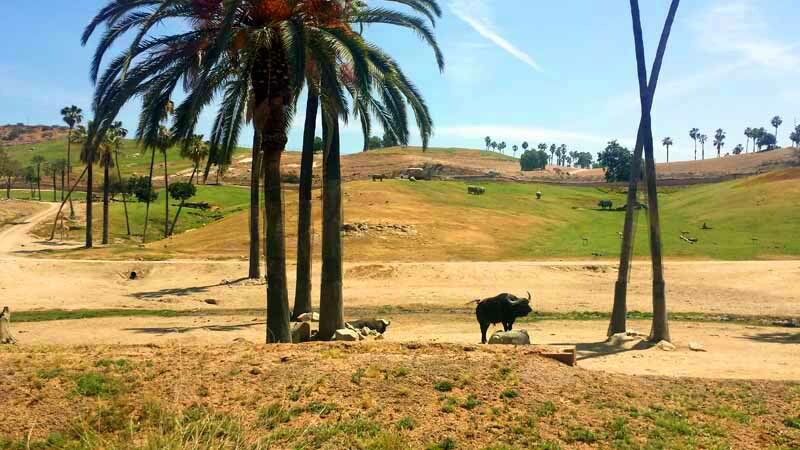 Check the San Diego Zoo Safari Park out as they are active on Facebook, Twitter and Instagram. 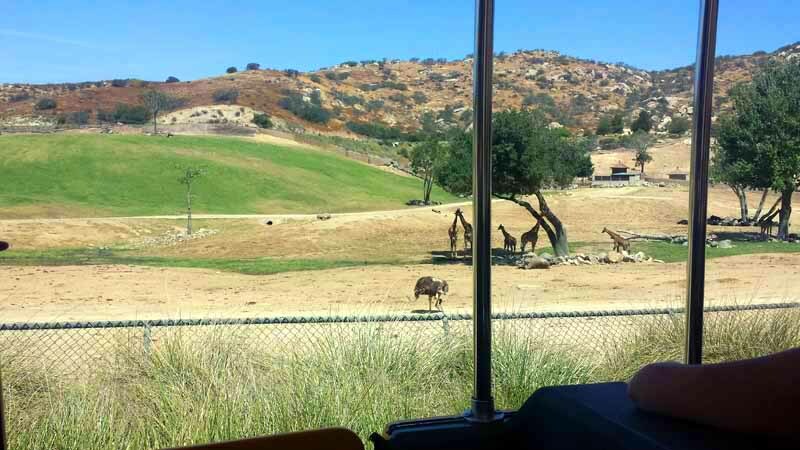 What other zoos would you recommend visiting in the US and the world?